Soon, all will be new, bright, shiny, and soulless — and the legends will be gone forever, ground to dust by the relentless jackhammers. St. Francis Theater and storefronts, 1953. Yes, that’s a billiards parlor on the upper floor. 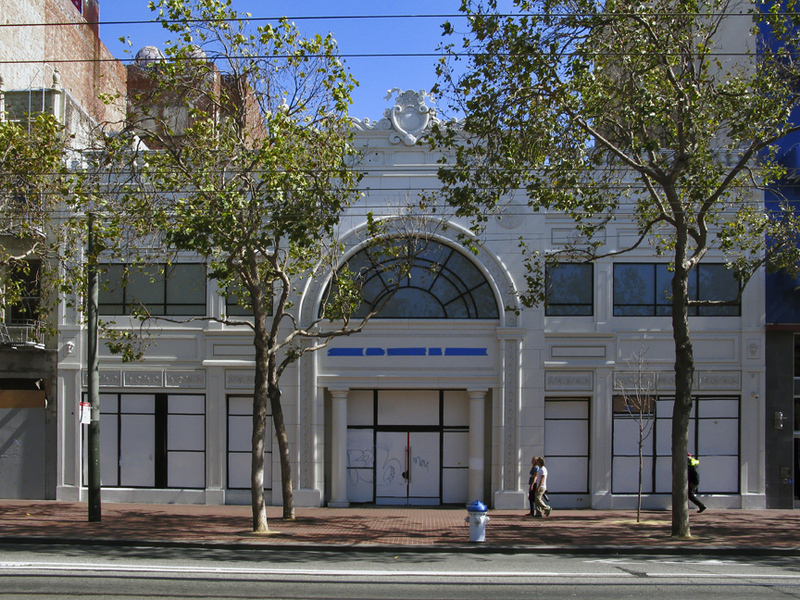 First opened in 1910 as the Empress Cinema, the St. Francis building is the work of John Galen Howard (1864–1931), one of California’s most respected architects, and designer of the UC Berkeley campus. 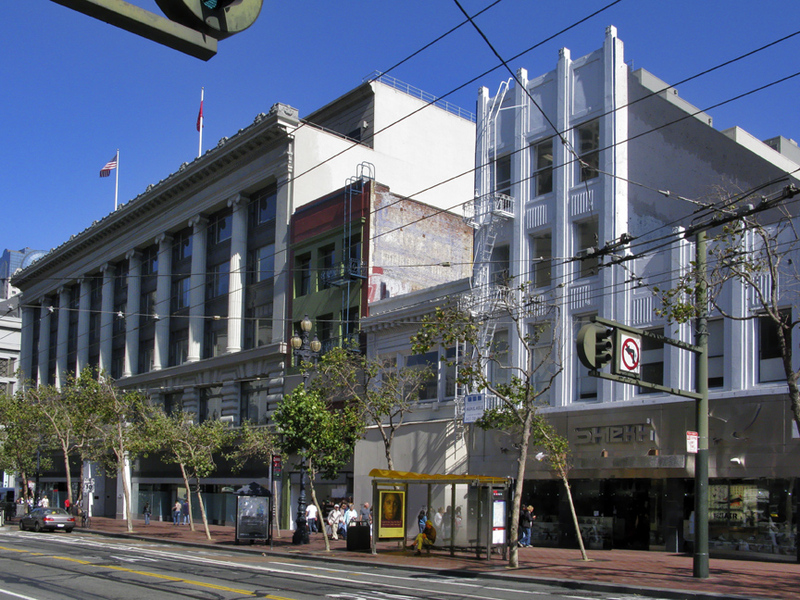 Today the San Francisco Board of Supervisors is holding a special hearing, arranged by my friend Arthur Levy, that will ultimately determine whether or not the facade of the old St. Francis Theater and adjoining storefronts will be saved or demolished. 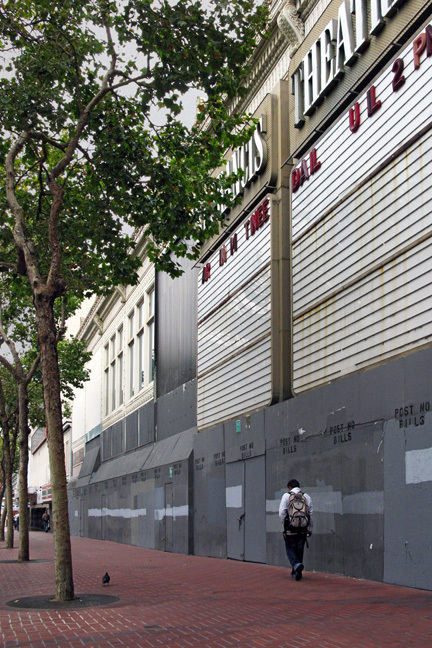 The SF Planning Commission rubber-stamped the Environmental Impact Report for CityPlace (since renamed MidMarket Place) after ignoring numerous oversights and flaws in the draft EIR that were painstakingly pointed out in public commentary. Although I have very low expectations for the outcome of today’s hearing, silence is simply not an option. Below are a few of the photos I shot for my presentation today, as well as the architect’s rendering of the proposed CityPlace shopping mall. 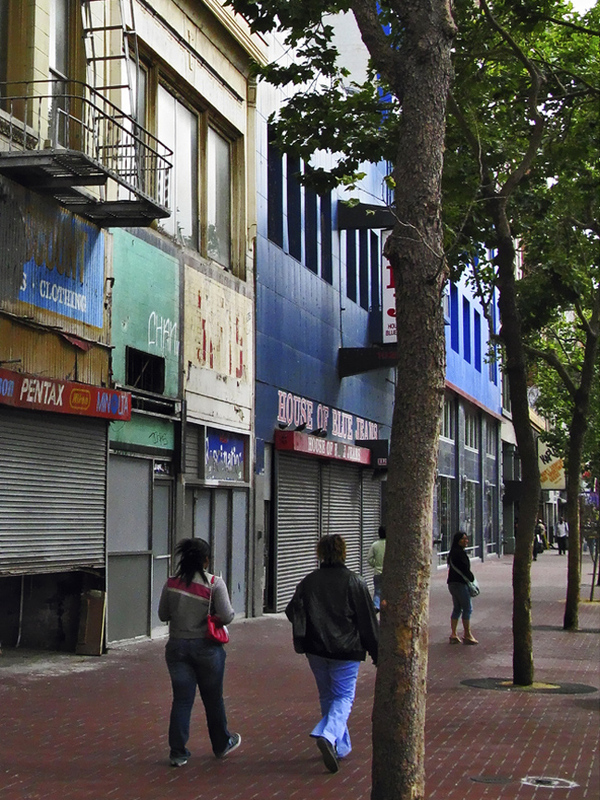 I very much want to see the mid-Market corridor revived, but not at the cost of destroying its visual, architectural, and historical congruity. Now here is an example of what could be done, given the political will. First is a shot of the buildings whose last tenants were Fascination and the House of Blue Jeans, followed by two photos of what has been done by combining those buildings. Wish us luck today; we’re certainly going to need it. UPDATE (15 Sep 2010): After enduring four hours of soul-leeching, mind-numbing tedium, and the hubris and prevarication of a hostile planning department that cares only about the interests of developers, I got my two minutes to speak after which I had to immediately leave, having by that time exceeded the limit of what I’m willing—or able—to withstand. My mental health was far more important to me than knowing the outcome of the hearing, which turned out to be 9–0 in favor of allowing the construction of CityPlace as it was originally designed, without reference to the surrounding architecture. The Board of Supervisors and Planning Department once again came down unequivocally on the side of big money, and the St. Francis will soon be just a memory, assuming there is anyone besides me and a handful of others who actually cares enough to remember it. 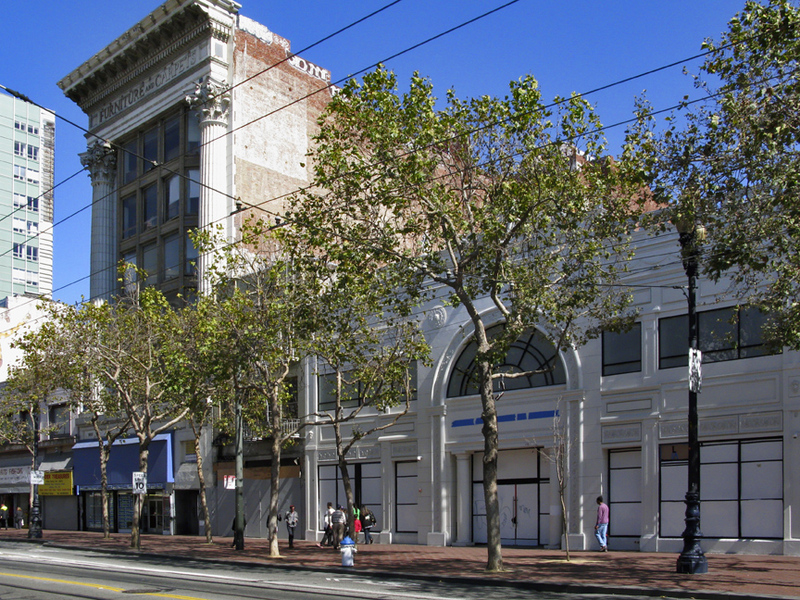 For more about the history of the St. Francis, see Mid-Market. i worked at the st francis/baronet in 1970. Wow, whAt a scene. Airport first run downstairs, Woodstock upstairs!! Grateful Dead right down the street at Van Ness any given night for $2.50. what a great time!! Too bad it all had to end. It was a wonderful time, indeed. I love hearing from others who remember it, too. Thanks so much for sharing. Anytime. I loved San Fransisco in 1970. Lived cheaply and the city was full of good vibes. For Nyone out there reading this, I paid $145 a month for a furnished efficiency apartment on Bush right off of Powell. foggy, funky and downright magical. God, I wish I could go back…. The best year of my life, certainly the most fun, was the summer/fall of 1970, San Fransisco. That is how I want to remember San Fransisco. And Jerry Garcia. And the Dead. God!!!! Frederick St in the Haight. 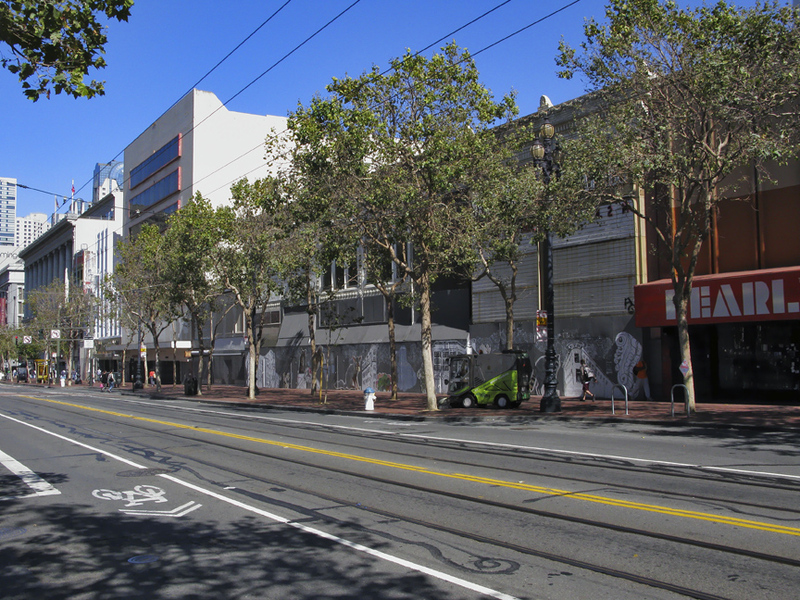 Pingback: The Tender » Is art the way to “reclaim Market Street”?